In one week, I will be aboard a plane making my way to Tokyo. 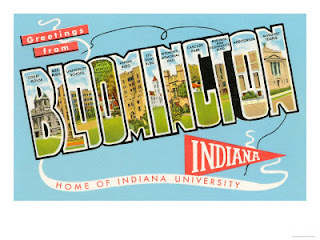 But tonight, Charlton and I are hopping on plane to Indianapolis to go to IU's MBA Experience Weekend. We will be meeting current students, professors and our incoming classmates. Also we have a ton of apartments to look at, so we can secure housing for the fall. There is the added pressure with our trip as we will not be able to sign leasing documents (if they wont accept scanned copies) after this weekend. Both of us have a lot of nervous energy right now, still feel like we need to tie up some things here and there is trip ideas we still want to research. We have been trying to see all of our family and friends, because we wont have much more time here. I said goodbye to my Brownie troop I help this afternoon (so sad!) And they are such good little Girl Scouts and gave me some of their cookie money as a congratulation present. I was so touched, gets me teary just thinking of about it.